Stacia to Appear on NPR’s “Tell Me More” on April 16. 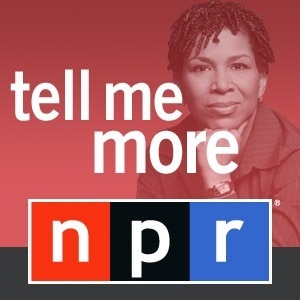 Tomorrow, I’ll be a guest on NPR’s nationally syndicated radio program, Tell Me More with Michel Martin. I’ve been invited to join author and family therapist Lori Gottlieb to discuss single motherhood for the show’s weekly Parenting broadcast. Beyond nervous. Beyond excited. I’ll update when a link to the audio becomes available online. You can stream Tell Me More live at WAMU FM from 2 pm to 3 pm EST. Use the NPR station locator to find out where you can catch it on the radio in your area. UPDATE: The audio for the segment can now be heard here: http://www.npr.org/2013/04/16/177468617/single-moms-on-making-it-work. Looking forward to it! Thanks for the heads up.